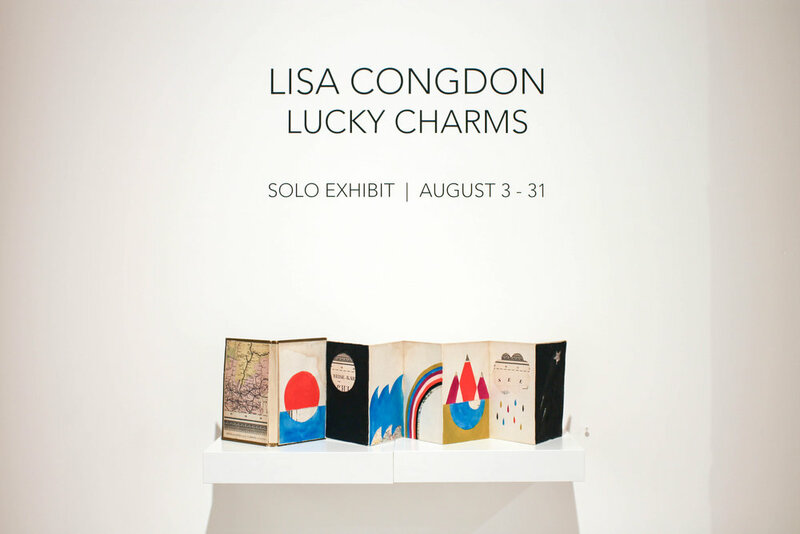 This August, Stephanie Chefas Projects is thrilled to present Lucky Charms, a solo exhibition by celebrated fine artist, illustrator, and author Lisa Congdon. 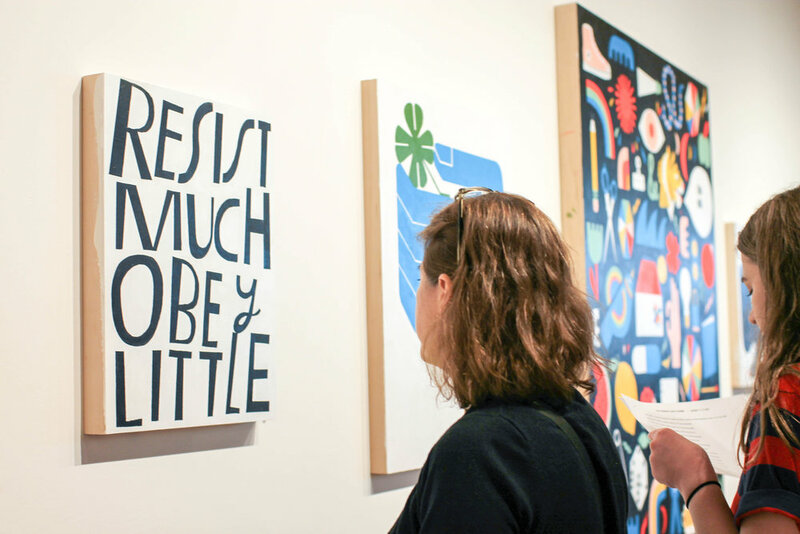 Known for her vibrant color palette and distinctive hand lettering, Congdon demonstrates a mastery over color and technique, fusing influences from the respective realms of folk art and illustration. 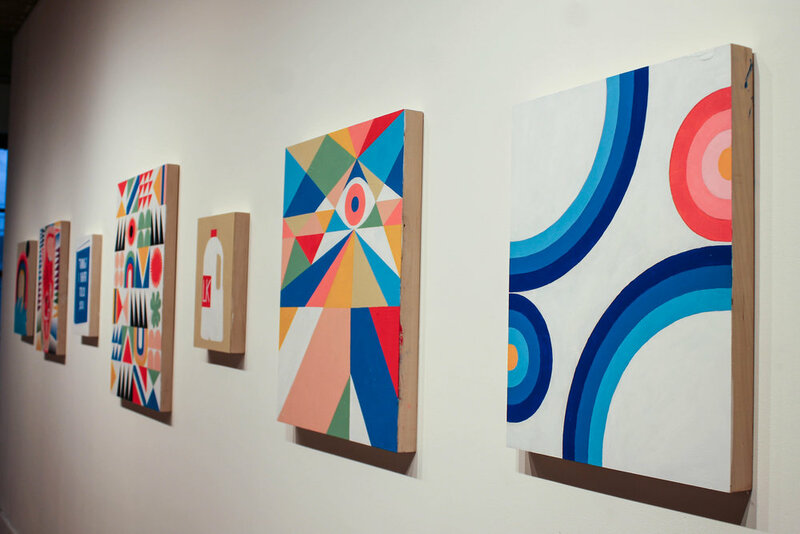 In Lucky Charms, the Portland-based artist charters a personal iconography, which combines years of self-exploration with a spectrum of cultural symbolism. From the mundane to the exotic, Congdon filters any given object through her profound singular aesthetic, frequently stripping the subject matter down to its starkest--and most essential--form. Her hard lines and vibrant colors are so distinct that the work retains an aura of absolute identity and sophistication. Conjuring familiar images from a well of personal experiences, the artist forges a visceral, timeless connection with the viewer, invoking a sense of complexity through minimal means. 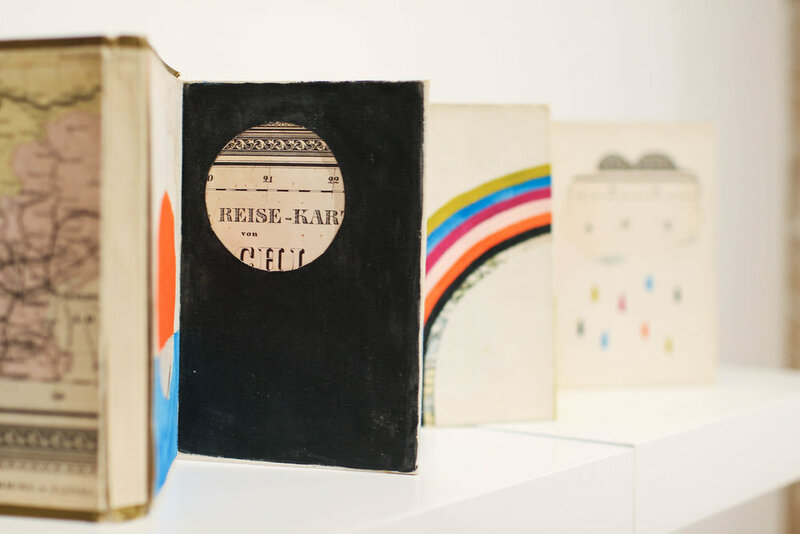 Personal monikers in bold hues playfully adorn the exhibition's centerpiece. Aptly titled 'Lucky Charms', the 5' x 4' painting brims with symbolic significance, depicting over 40 personal "charms" against a stark black background. A ferocious tiger defines Congdon's spirit animal. Rainbows represent both freedom of expression and the LGBTQ community. Houses and quilt patterns exude nostalgia, while simultaneously manifesting the artist's undying love for folk traditions. Meanwhile, Congdon's approach is as whimsical as her subject matter, in that nothing is planned in advance. Consequently, the painting embodies a stream of consciousness from top to bottom. 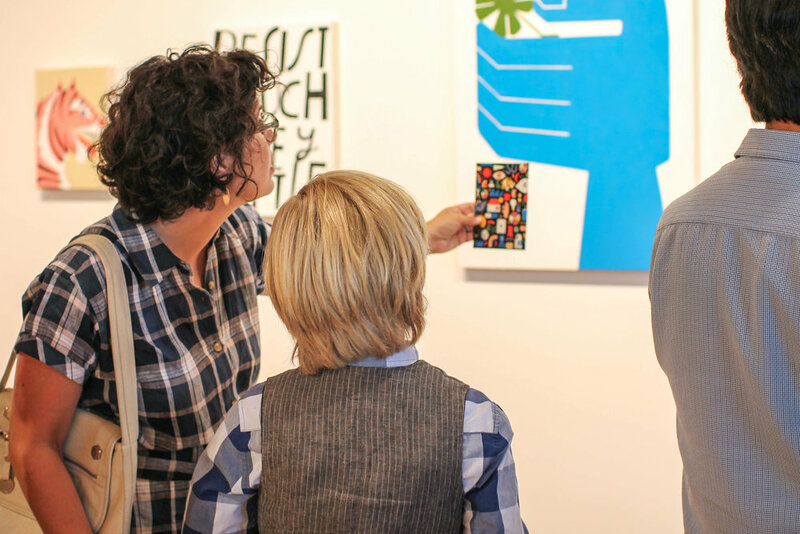 In the artist's own words: "Lucky Charms is a body of work that explores important symbols in my personal history. I have had a fascination with symbols for many years, in common symbols found in folk traditions around the world. Many of these symbols are represented across my work, including snakes, hands, eyes, clovers, suns, moons, bolts, birds, rainbows, and iconic quilt patterns, to name a few. I have also adopted a set of my own personal monikers that occur repeatedly in my work, including sneakers, painting and drawing tools, tigers, pills, scissors, fruit, milk cartons, playing cards, and a variety of random household and domestic objects. 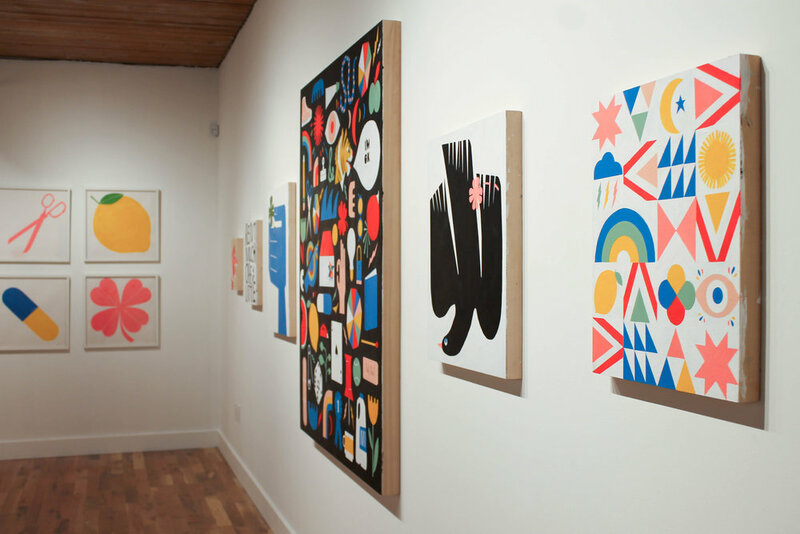 My work elevates mundane, ubiquitous, and sometimes obsolete objects into conversation with symbols from nature and the supernatural in colorful, organized arrangements and simplistic, graphic paintings." The opening reception for Lucky Charms will be held at Stephanie Chefas Projects on Friday, August 3rd from 7-10pm. Stephanie Chefas Projects is located in Portland, Oregon at 305 SE 3rd Avenue on the second floor of the Urban Row building. The exhibition will be on view through August 31st, 2018 and is free and open to the public.